A blend of 50/50 Cab and Cab Franc. 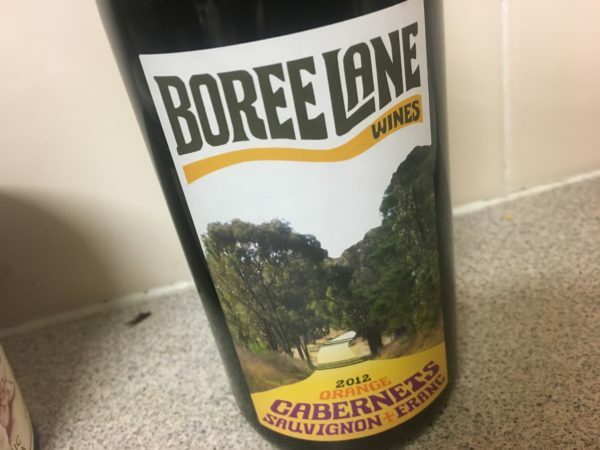 This is a more traditional Orange Cab blend from the Boree Lane Vineyard, which sits in the lower, slightly warmer part of Orange (ie good Cab/Franc country). Made by Will Richard Bell. Every bit the Orange ‘Claret’ it is too. Light ruby red, this is a gently fragrant style with tobacco, red fruit and a leafy edge. Softly, softly, with Cab Franc playing a strong hand. Dry, utterly savoury and just mid-weight,it is by acidity and light tannins with a lift of crunchy red fruit through the middle. Best drinking: 2018-2029. 17.5/20, 91/100+. 13.5%, $25. Would I buy it? A glass or two would be very pleasant.